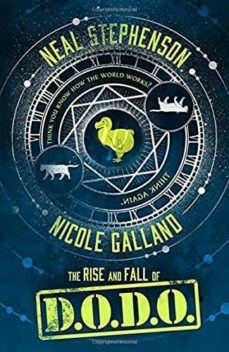 When you interfere with the past, there’s no telling what you might find in your future … In 1851 London’s Crystal Palace hosts The Great Exhibition, showcasing the rise of technology and commerce, and alongside it, the decline of magic. Once powerful, now mere myth. Years later, Melisande Stokes, linguistics and languages expert, and Tristan Lyons, shadowy government agent, will rediscover magic and all its power, bringing about the creation of the Department of Diachronic Operations – D.O.D.O. D.O.D.O.’s mission is clear: to develop a device that will send their agents back in time to keep the magic alive … and alter the course of history. Written with genius and complexity, this vividly realised novel will make you believe the impossible, and question the very foundations of the modern world.